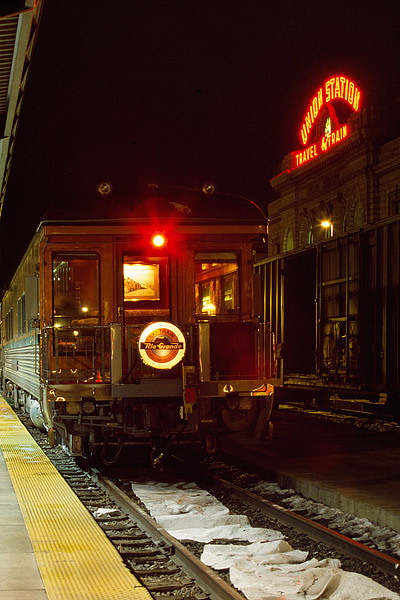 The Ski Train has completed is run from Denver to Winter Park and has just unloaded its passengers at Denver's Union Station. The Ski Train climbs over the Colorado Front Range from Denver to the ski resort of Winter Park. There Skiers disembark from the train and hit the slopes. The marker car is the last passenger car in the consist and is typically reserved for VIP's. Photo © copyright by Thomas Mangan.